The loot box saga continues as Rocket League developer Psyonix puts a stop to players using keys to open loot crates in Belgium and the Netherlands. You'll find the announcement buried deep within yesterday's patch notes, which also details the new Rocket Pass and Esports Shop. When you do find it, the update gets straight to the point: "Players in Belgium can no longer open Crates with Keys due to government regulations." The same line is repeated for the Netherlands. Rocket League is the latest to remove loot box functionality due to local government gambling regulations. Last year saw Blizzard remove loot boxes from two of its games, while CS:GO and Guild Wars 2 also made changes in Belgium. More recently, EA pulled sales of in-game currency from FIFA back in January and Konami followed suit with PES 2019 a month later. 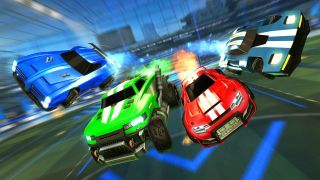 It's unclear whether Rocket League has implemented these changes as a precaution or whether they were contacted directly by the local gambling commissions.